The Pro Painter Pack pigments work with any base clear, blender or binder for a fantastic paint job! Every item in the Pro Painter pack 50 is a top seller, no closeouts or discontinued items. This pack is a great way for shops to try out our products, offer samples for customers and have visual products on hand for sales. This pack is great for those who want to paint leather items, faux finish interiors, plasti dip, custom auto paint, nail polish and many many more projects. All of our pigments can be used in plasti dip, we were the first company to supply pigments to the dip community. If you have any reservations about whether our products work in Plasti Dip, you should know that we were the pioneers who introduced Plasti Dip Pearls to the world. We at Paint With Pearl appreciate all of our customers who take the time to send us pictures and feedback on all of our products. 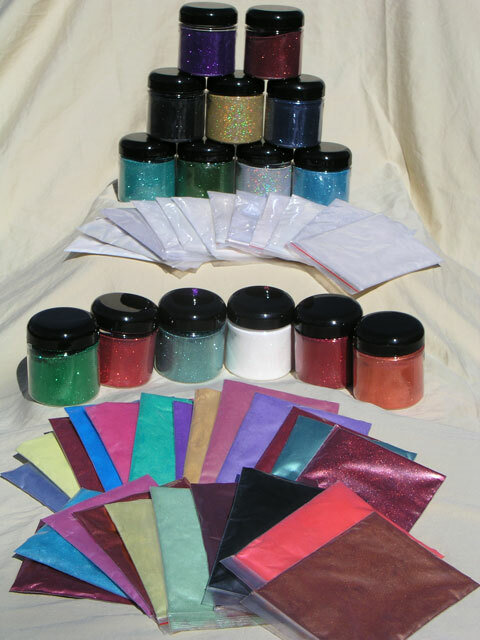 Our Illusion Pearls, Color Pearls, Metal Flakes, True Chameleon pigments, Thermochromics, Glow In The Darks and all other paint pigments are truly custom paints and can be used in almost any application. There are so many options with our products! Photos, Videos and testimonials are a great way to show off the capabilities of our additives. If you find the opportunity, send us some great pics and a small testimonial about what you did with our products and we will send you a gift card for the website. We love to show off the work that our wonderful customers are doing. Contact us and send us your work! Shop with us…the leader in paint and Pearl Pigments Since 2005. Or check out our old site. Pro Painter Pack, 50 of our top selling items including 15 jars of metal flake, 34 Color Pearls – Illusion Pearls – flip pigments and one glow in the dark pigment.